Stand out in these canvas Converse Breakpoint Ox canvas shoes. This style features a canvas upper with star accents so you'll look good and feel amazing. 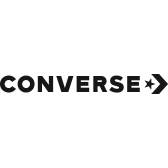 The Converse Breakpoint Ox canvas shoes have a padded tongue and collar to support your ankles.